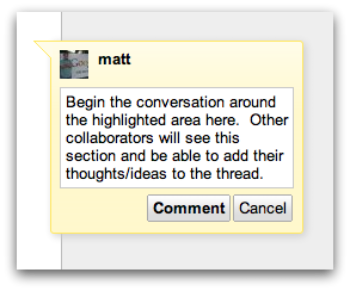 One of the features that sets Google Apps apart from the competition are the real time collaboration functions available in Google Docs. Having the ability to allow multiple people in different locations work on the same document at the same time is priceless. While working in the same document, there may be 'grey' areas that need clarifying. This is when the ability to 'comment' about a certain word, paragraph, or image can be a very useful function with multiple users contributing. 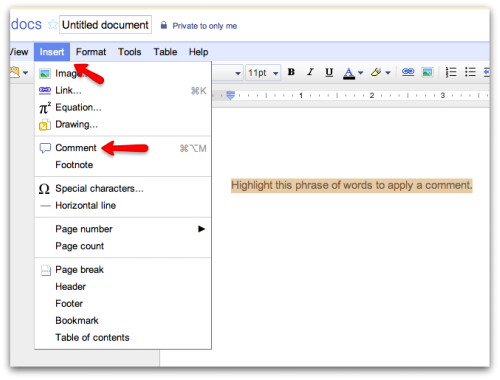 To add a comment, simply highlight the selected area like you are going to copy the text (as seen below) and click 'Insert' from the options above the document. Now that you have selected the text that you wish to comment on, you'll notice a comment section appear on the right hand side of the screen. This is where you will be able to ask a clarifying question or just make a general comment on the selected portion. 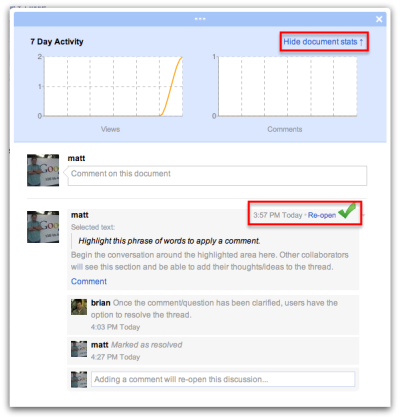 Collaborators will now be able to add their own comments to the thread further clarifying the text in question. You will see the thread build as yourself and others make comments. Additionally, users that are collaborators on the document will receive an email every time a comment is made on the document. This is a helpful feature because you may not always be viewing the document. After the comment has been resolved, you may select the 'Resolve' option in the upper right hand corner of the comment thread to delete/hide the thread of comments from the document. If you have not recently viewed the document or are a new collaborator and would like to view previous comments, click on the 'Comment' tab in the upper right hand corner of the document and a pop up window will appear with all the comments made on the document. 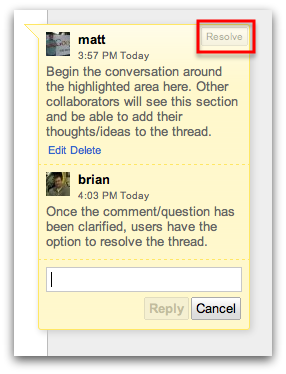 You now have the ability to re-open the comments and further comment on a thread (restoring the comments). Additionally, you can click on 'Document Stats' to view a graphic view of a seven day period of comments made and views of the document. 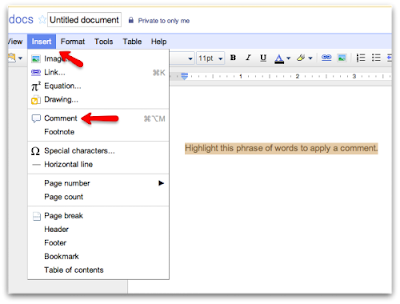 How will you utilize the 'Comment' feature in your next Google Doc? Let us know in the comment section below!